In the case of the previously found Diavik Foxfire diamonds, rather than sell it in the rough, the stone was cut and polished — yielding a 37.87-carat brilliant-cut pear shaped diamond and a 36.80 carat brilliant-cut pear shape. Both of these stones sold recently at a Christie’s auction for $1.3 million. It is expected that Dominion Diamond Mines will take the same approach with the 552-carat Canadamark(TM) yellow diamond. The yield could be several larger sized diamonds that Foxfire, or could be similar sizes but more of them. It is impossible to know, as a rough diamond must be carefully studied before being cut to determine the perfect size and shape of the finished, polished stones that will show off their most beautiful color and brilliance. Certain other fancy yellow diamonds have made history. In fact, among the world’s largest yellow diamonds is the 439.86 carat light-yellow diamond that was found by DeBeers in 1888 and later cut into a 234.65-carat cushion-cut stone. 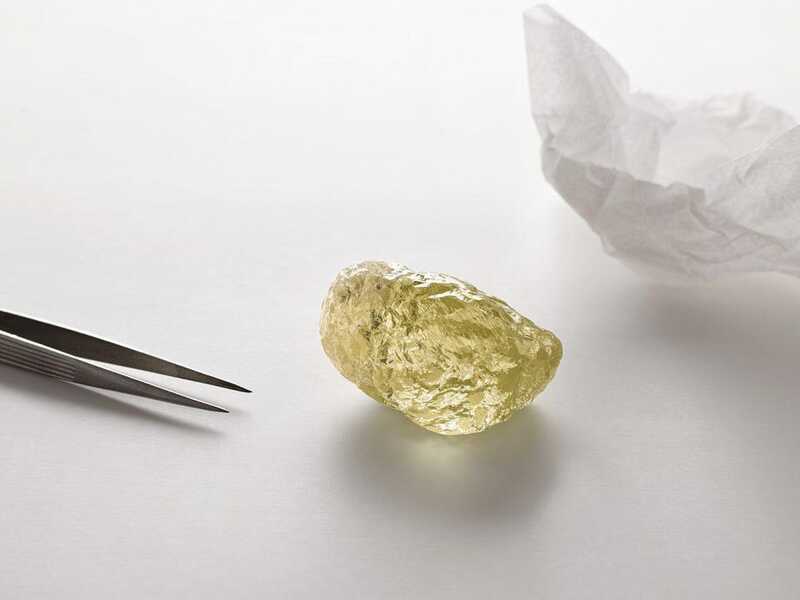 The Tiffany Yellow Diamond is also one of the largest ever discovered. 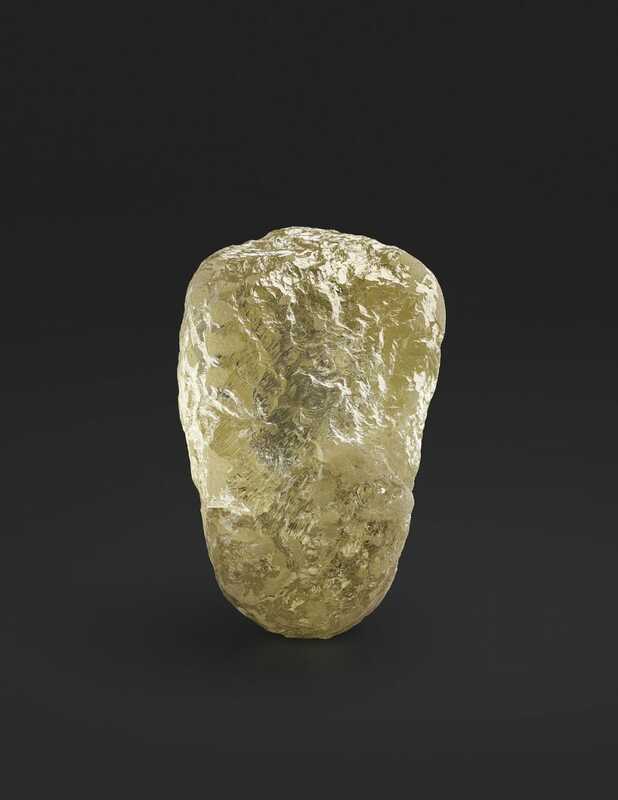 It weighted 287.42 carats in the rough when it was found in 1878 in the Kimberly Mine in South Africa. It was eventually cut in to the 128.54-carat cushion known a the Tiffany Yellow Diamond.